How do persons caring for those with Alzheimer's disease care for themselves? How can congregations support those persons responsible for the care of persons with Alzheimer's disease? This study, "Caring for People with Alzheimer's," discusses these issues. Through exploring a personal story of caregiving for a husband with Alzheimer's disease, the participants will be encouraged to support those in the congregation who have this role, and caregivers will be encouraged to seek and accept the congregation's support. This is an excellent resource for all people in ministry or to provide as a handout to church members. 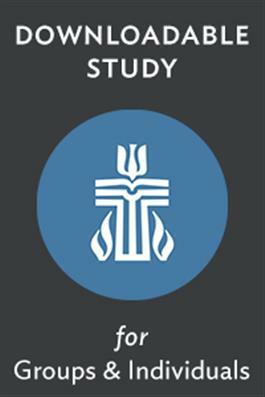 This study was previously published as a study by The Thoughtful Christian.